Today is a big day for The Exotic Ninja. Thanks to some changes done on the website it is currently loading in roughly a third of the time it was before. I won’t bore you with the technical jargon, also I don’t remember the big words. But this means that you can access the drinks you want that much faster. I’d like to give a huge thanks to the guys at The BBS Agency for their work on the site. I couldn’t have asked for a better group of people to work with, if you’re ever in the area drinks are on me. 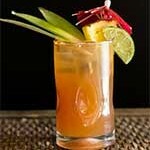 To celebrate the sites new speed here are the quickest cocktails for those of you on a time crunch. Topping off this list is the Black Russian. 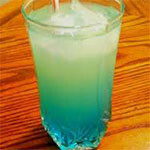 This delicious mix of Vodka and Kahlúa is easy to make and is sure to give you a speed boost for the rest of the night. Overall Enjoyment Of Aforementioned Minute: 7/10. The prep was a breeze, the longest step was digging through the liquor cabinet. I’m not a coffee drinker so the taste was a bit aggressive, but that could be because of my attempt to down it in one swig. If one was looking for an even bigger boost they could replace the Kahlúa with a 5 hour energy. While this sounds disgusting it will give you the kick you need to make the rest of these recipes. 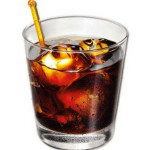 The Black Russian is a smooth way to enjoy your vodka of choice, with a coffee liquor that will keep you going all night! Next up is Sergeant Pepper. 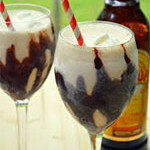 This is a terrific recipe that you can mix and drink by the time the classic song about the lonely hearts club is over. Overall Enjoyment Of Aforementioned Minute: 5/10. Prep was more difficult for this drink. The carbonation was tough to work around while trying to make drinks at hyper speed. The flavor is fantastic but I guess I can’t chug soda as well as I can alcohol. I’m not sure if I should be proud or ashamed of that. I’m going to go with a little bit of both. 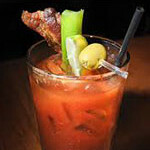 After two of these drinks, you are an official member of the lonely hearts club band. The Electric Popsicle drink is lightning fast and it’s so bright it practically glows. Overall Enjoyment Of Aforementioned Minute: 9/10. I have an unnatural love for all things that glow, sparkle, or dazzle. Since 2008 I haven’t worn a single article of clothing that wasn’t bedazzled. Even though beauty takes time,(my morning routine includes 6 beauty advisers) you can be drinking this work of art in no time. Granted when you drink it this fast you don’t get to enjoy the colors. The Electric Popsicle practically glows in the dark! 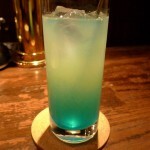 Enjoy this summer time cocktail made of Melon Schnapps and Blue Curacao. Lola’s Mommy Juice is an adult kiddie cocktail that is sure to please. Overall Enjoyment Of Aforementioned Minute: 8/10. This cocktail tastes just like the kiddie cocktails you used to pretend to get drunk off of. It’s simple enough that you can make and drink it quicker than your parents can tell you “NO.” Your prep time may change depending on if your cherries are store bought or home grown. While the taste is worth it waiting the extra 3-4 years for your cherry tree to produce fruit might not be. Mommy Juice is Cherry Schnapps and a choice of 7up or Sprite, this non-kid version of the kiddy cocktail is sure to please. Next up is an old classic: The Harvey Wallbanger. Overall Enjoyment Of Aforementioned Minute: 7/10. 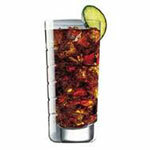 Though this cocktail has been around for a long time, it’s simple to create and drink one in roughly 50 seconds. I’ve always said that we should be improving on the past by speeding it up. When you’re chugging this drink make sure you take a moment (just one we are shooting for speed here) to appreciate the amount of history you are slamming. 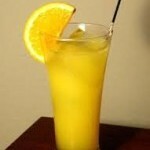 The Harvey Wallbanger appears in literature as early as 1971, this cocktail is a mix of Vodka and Orange juice with a splash of Galliano on top. It’s ironic that a legend that has baffled mankind for so long shares a name with a drink that can disappear so quickly. Overall Enjoyment Of Aforementioned Minute: 9/10. This delicious tropical drink is easy to create and easy to drink. What isn’t easy is shaking the undeniable feeling that something we can’t begin to understand is lurking under the surface of Loch Ness. But there’s no better cure for that then a drink you can make and drink 15 of in 10 minutes. The Loch Ness is a tasty drink made of Island Punch Pucker and Pineapple juice to help you forget about the elusive, legendary monster! Hopefully you enjoy the Quickest Cocktails that we have to offer. Especially now that you can access them quicker then ever before. ** Time tracking may not be accurate as a drunk person with a stop watch can’t always be trusted.